If Alibaba is anything to go by, China’s seat at the global e-commerce top table is surely secure. China today is less emerging, more emerged and should probably be dropped from the BRIC acronym such is its scale compared to Brazil, Russia and India. The country has also clearly cracked online technology. Alibaba, the world’s largest ever stock market flotation, follows a number of Chinese web businesses such as Baidu, Sina, Weibo and major rival Tencent. This is no longer an emerging internet economy so we should probably stop referring to it as such. It was therefore interesting to see some e-commerce research come through in October 2014; interesting because it still referred to China as emerging and interesting because it raised the question of regional differences in e-commerce spending habits. China, perhaps unsurprisingly, was singled out for making what it claims are nearly twice as many online purchases a month (5.88) as the global average (3.25). The Connected Shopper report features commissioned research by TNS Global and although it is put together by a marketing firm it does raise some key points. Countries such as Poland, Brazil, China and Russia are well above average in terms of monthly online purchases. Why? Do these regions have more advanced online payment methods or more shopaholic cultures? Looking more closely it may be that in Poland, for example, preferred methods of payment, such as more traditional invoicing have been carried into the online world and therefore online shopping represents less of a leap. No credit cards needed here. After all it is ease of payment and the security around it that both inhibits and empowers online shopping. This is not new thinking of course. The problem of shopping cart abandonment has plagued the online retail community for years but it is widely believed that the culture of payment methods is a fundamental cause of this ‘checkout flight’. So do the Polish and the Chinese abandon the checkout less than other countries? Not really. 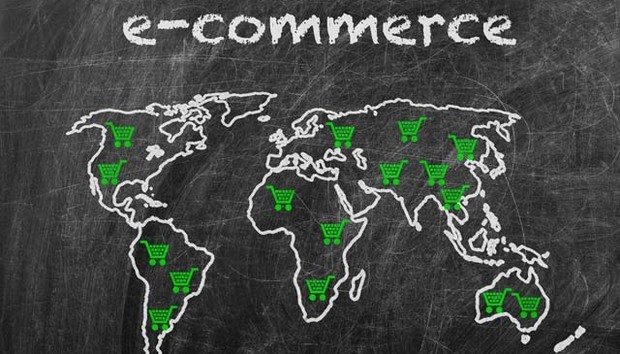 According to David Brown, founder of e-commerce conversion company Ve, “most territories share similar headaches in the cause of online abandonment”. But he adds that he believes price plays a key role here, as unexpected costs such as taxes, packaging and delivery can make a purchase less appealing. So do cultural differences have an impact on the different rates of abandonment and sales completion? What about issues over payment methods? “Payment method mistrust is the biggest issue in online shopping in Japan – people outside the major cities there either mistrust credit cards or do not own credit cards. In Japan, they shop using mainly cash-on-delivery, or payment of invoice at convenience stores, so if the e-commerce stores do not offer these options, they will abandon. Brown’s claims are backed up by international electronic payment specialist The PPRO Group. The company has pulled together research from a number of sources including Worldpay and claims that 68% of consumers have abandoned an online retail site due to the payment process. Over half of these (57%) left because the process was too complicated, while 46% didn’t complete the transaction as the merchant didn’t offer them their payment option of choice. In terms of cultural differences the preferred payment method for UK consumers is PayPal (45%), followed by credit cards (22%) and debit cards (23%). In the Netherlands however, almost two-thirds (65%) of all transactions are carried out using the iDEAL online banking system and in Germany and Austria most digital buyers prefer payment on account and via direct debit. So what does this all mean? That any business that wants to expand internationally has to have a number of different payment options to cover all the bases of local preferences? “The first step to achieving sales and ensuring customers carry out their purchase is for merchants themselves to understand the culture of payments,” comments Tobias Schreyer, co-founder and chief commercial officer at The PPRO Group. “The future belongs to businesses that will continue to adapt to local mobile payment preferences and streamline the checkout flow. Evernote, for example, saw an uplift of 10% after implementing a mobile-optimised checkout for Alipay, the most popular online payment method in China,” comments Roelant Prins, chief commercial officer at payment services company Adyen. Boom. There you have it. That’s what any online retailer wants to hear. Interestingly Adyen has just released its own research looking more specifically at mobile payments. Called, rather grandly, the Mobile Payments Index, the report reveals that the authorisation of payments on mobiles now exceed computer-based payment authorisations (although the figures are close – 88.1 % vs 86.7%). Admittedly this research is from Adyen’s own customer base and not an independent research body but the sentiment is that consumers are growing increasingly comfortable with the idea of buying from their smartphone. OK, so we kind of knew that already. There have been countless reports on the subject but what is interesting is this idea that Asia is growing rapidly (it is tempting to say “duh, of course it is”) showing a 58% increase in mobile payments since August 2013. Again, is this cultural or just down to the fact that China’s massive tech-enthused population is very smartphone friendly? We know the answer already. So what does this all mean? Clearly, sites that understand and respond to local payment cultures will stand a better chance of sales. Will it reduce checkout abandonment? Probably but you can never really account for human nature. Online checkouts are just easy to walk away from, and that’s just the nature of the beast. « Text-a-doc app: A more sensitive Google?